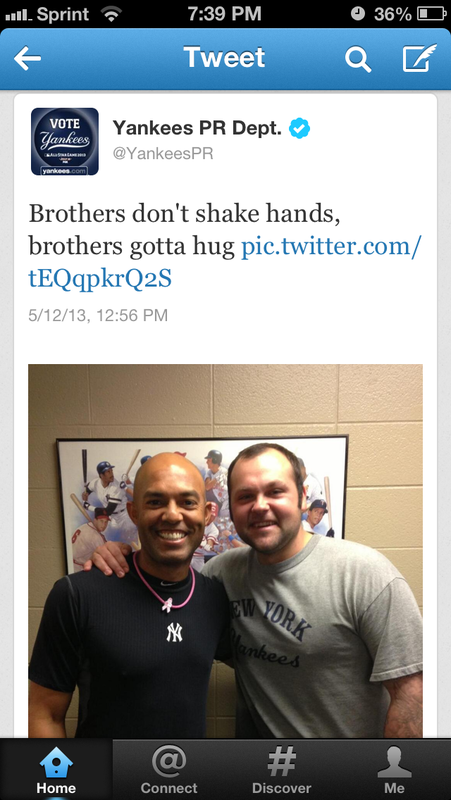 Joba Chamberlain has once again embarrassed himself. His latest mistake? Confronting the immortal Mariano Rivera in front of reporters. Look, I’m sure things like this happen all the time, after all it is impossible to think every single person is going to get along with one another every day for an entire season. This has already become a bigger story than it ever needed to be. The one thing I take away from this is that Joba just doesn’t get it. There is still a bit of immaturity in him that he would do this in front of the media and confront of all people, Mariano Rivera. The soft-spoken Rivera said all the right things to the media today, ensuring the two made amends. In my opinion, that’s all you need to know about Joba. On one hand, you have a class act in Mariano Rivera who took the high road and even praised Chamberlain, while Joba just continued to be Joba. 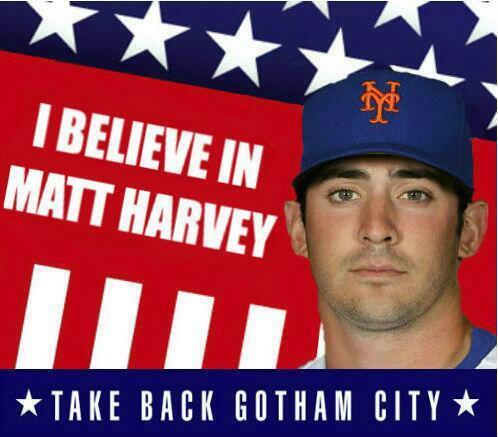 The legend of Matt Harvey continues to grow as last night was his best performance yet. Harvey pitched nine innings while allowing only one hit, which was an infield single with two outs in the 7th, on his way to retiring 27 of the 28 batters he faced while striking out 12. This was on of the most dominant games ever thrown by a Mets pitcher and in my opinion, more impressive than Johan Santana’s no-hitter. From the very first inning , you just knew the White Sox had no chance against the phenom. 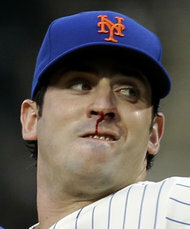 Ron Darling said it early on that as a hitter, walking up to the plate there has to be something unsettling about looking out at a guy with blood running down his face with that type of demeanor and power out on the mound. The blood did eventually stop but Harvey did not. He was overpowering with his fastball and had complete command of his slider and change-up. I know the White Sox are a weak hitting team but with the groove Harvey settled into last night I don’t know if any team would have had a chance. It was disappointing the Mets were unable to earn him a win, the Mets offense looked nearly as bad as the White Sox early on. Thankfully the Mets were able to win this game in the 10th with a Mike Baxter walk-off hit to drive in Ike Davis, salvaging Harvey’s dynamic start. The Mets are now 7-1 in games that Harvey pitches and he could very easily be 8-0 himself. This team is not talented enough to squander starting performances like this and they need to win these ballgames. It was great that they found a way to win, it is important that the team wins first and foremost, but Harvey deserved to earn a win as well. The team certainly owes him one, hopefully it will come on a day that he isn’t at the top of his game. 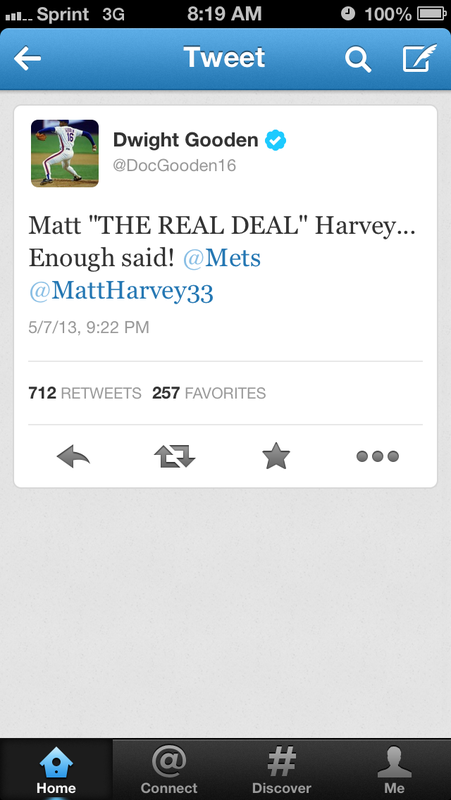 You’re missing out if you aren’t following Doc Gooden on twitter during a Matt Harvey game. He is zoned in on each and every pitch he throws and makes sure to let his feelings known. 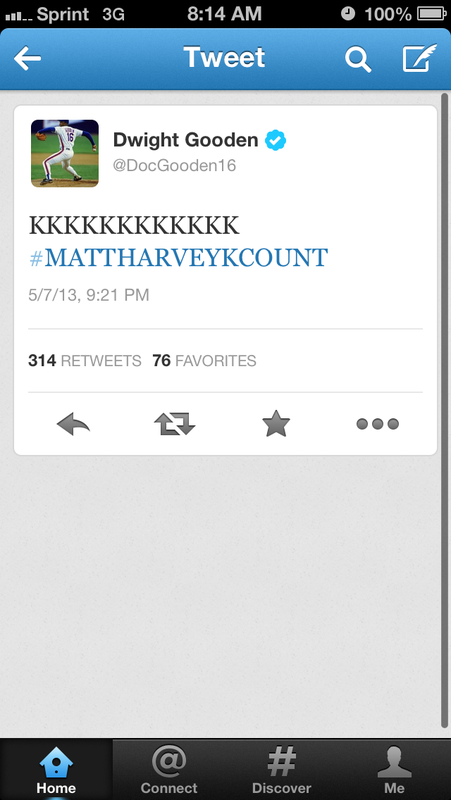 Doc has started what could become the new age version of hanging a “K” for each strikeout in a stadium by tweeting out each one using the hash tag “#MattHarveyKCount” and I simply love it. It’s great to see that Gooden is still emotional invested with this team and has developed a friendship early on with Harvey, who is attempting to captivate this city the way he once did. Hopefully the stands will begin to fill up for his starts, if there is anyone player that should make fans want to buy tickets, it’s Matt Harvey. If he is able to continue to pitch this way and the Mets earn him some more W’s along the way, starting the All-Star game in Citi Field is a very real possibility. Now that would be something special for this franchise. Will “The Real Deal” nickname catch on? Robin Ventura, and let’s not forget about “Super” Joe McEwing, return to New York tonight as the White Sox are here for a quick two game series. 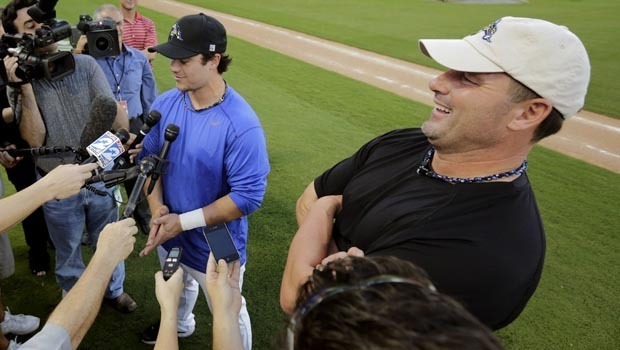 Ventura is in his second full season as manager while McEwing serves as his third base coach. With these two coming back tonight I can’t help but think about the 1999 and 2000 team that I enjoyed watching so much. To this day those are still my two favorite Mets seasons. Ventura only played three seasons with the team but left his mark as an all-time fan favorite with moments such as the grand-slam single in game 5 of the 1999 NLCS and when he impersonated Mike Piazza during a rain delay at Yankee stadium. He was a fantastic fielder at third base and was part of the infield that Sports Illustrated famously referred to as “The Best Infield Ever.” It felt like every time the Mets had the bases loaded he was up. He hit 5 grand slams with the Mets, it would have been 6 if not for Todd Pratt. I always felt Ventura was a crucial part of the roster as he seemed to help ease some of the tension for Piazza at a time when so much pressure was put on his shoulders. I was shocked when I read the White Sox had hired him as a head coach last season while having no real coaching experience. But so far so good for Ventura and the White Sox, I wish him the best of luck going forward, except for these two games against the Mets. Joe McEwing was a utility player that I never fully appreciated during his time.What I remember most about McEwing was his ability to hit Randy Johnson who was in the prime of his career. Every time the Mets faced Johnson you just knew McEwing was going to be in the line-up. He hit .302 against the lefty while with the Mets, which might not sound all that impressive but you have to remember how dominate Johnson was at that time and that McEwing is only a career .250 hitter. Although I still feel Bobby V played him too often, as he was a personal favorite of his, McEwing was a very versatile player who was capable of playing just about anywhere on the field. I’m not surprised to see him on a coaching staff as he was known for having a high baseball IQ, he could very well be coaching a team himself one day. Jay Horowitz had joked on twitter that Todd Pratt would be throwing out the first pitch tonight with Ventura as the catcher. I wish that were really happening as I would love to see Pratt lift him up in the air for old times sake. I only hope this team will come together and be every bit as exciting as those teams were in the near future. “As a reminder, please note that the practice fields at the Himes Complex in Tampa will be closed to all media and fans for all workouts/rehab assignments being conducted at the facility. Our security has been instructed to cordon off one side of the sidewalk leading into and out of the facility for media use only. Fans will not be permitted in this designated media area. Coincidence? I think not. This is probably for the best as the Yankees do not need any distractions on their hands from A-Rod. It will be interesting to see how he handles the ongoing investigation of the allegations that he purchased incriminating documents from the Miami Biogenesis clinic. 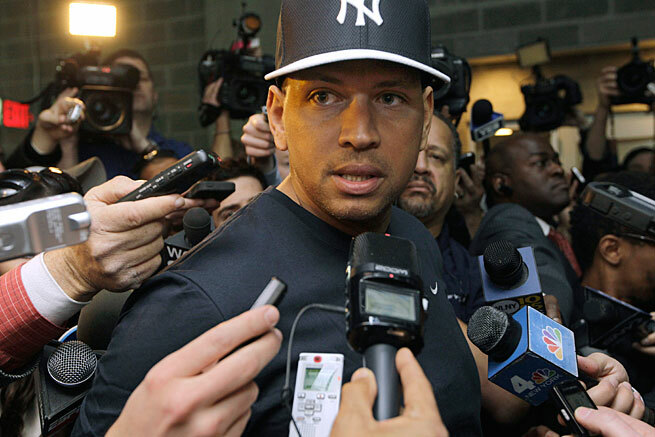 Despite the private work outs, we all know A-Rod will find his way in the headlines some how. I wonder if he will be staying in Derek Jeter’s newly built $12.5 million dollar house located nearby. Last night as I was flipping back and forth between the Knicks game (my god was that awful) and the Yankee game I noticed that Roger Clemens’ son, Paul, was on the mound for the Astros. The first thing that popped into my mind was “Oh my goodness gracious, of all the dramatic things..” as I recalled Suzyn Waldman’s now infamous call of Roger Clemens announcing his return to the Yankees several years ago from George Steinbrenner’s box. 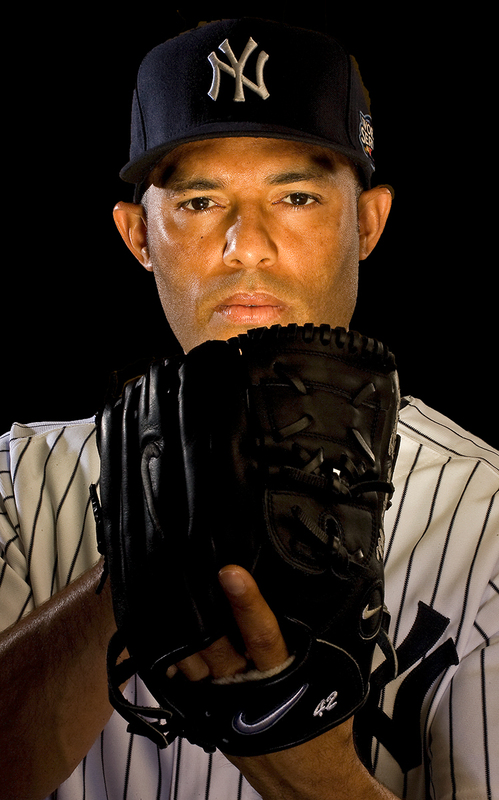 Every single year people ask the question, will this be the year Mariano Rivera begins to falter? And every single year he defies the logic that baseball players, especially closer’s, will diminish with age. The 43-year-old has returned after missing the majority of the 2012 season and hasn’t lost a beat. He has gone 9-for-9 in save opportunities this season with a 1.80 era. Even in his 18th season, it appears Rivera will still be retiring while he’s on top. 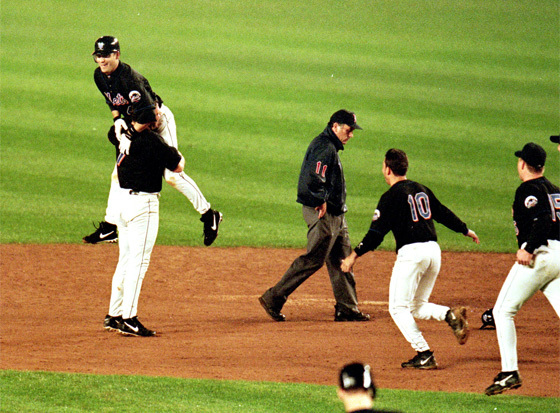 Closer’s have always been one of the most unpredictable positions in baseball. Their careers have notoriously gone up and down, having an all-star caliber season, followed by a dreadful one. Some will even see multiple years in a row of success before faltering, but none have come even remotely close to putting a career together like Rivera. With the inability of so many to consistently close games out, especially on the biggest stages, Rivera has always been the great equalizer for the Yankees, giving them the edge in the bullpen in any game they play. He seems to be the rare exception as he just continues to build on his career that will one day land him in Cooperstown. His opponents may very well be celebrating the idea of not facing Rivera in the near future. They will no longer will they have to deal with shattered bats,wondering, how this man has continued to get them out all while throwing mostly one pitch, the cutter. Although teams may be happy to see him go, he has garnered a great deal of respect around the league. You will never hear a bad word uttered about Rivera as he has played the game the right way all these years and been a role model for so many. Each road trip the Yankees go on this season teams will show their appreciation for the future Hall-of-Famer, plaques presents and tribute videos will be presented to honor him the last team he plays in each city. There is no greater form of respect than when your opponents, the same ones that you have dominated for years, take time to honor you in your final days. Now I might be a bit old fashion, but I for one am not fond of how today’s game has become all about match-ups and pitch counts. We have starter’s who barely make it out of the fifth inning. If they make it through six innings allowing three runs? We mark that down as a quality start. But I’ll save that for another discussion. Then we get to the bullpen, no longer do we have closer’s who give you two or three innings to close out a game. Now we are lucky if we even allow a reliever to finish an inning. Too often do we see managers go through almost an entire bullpen in a nine inning game as they focus too much on lefty/righty match-ups. I’m not trying to diminish what Mariano has accomplished in his career, it is what it is, the game is constantly evolving for better or for worse. The one thing I do know, despite how the game has changed, Mariano Rivera is far and away the best reliever to come out of this era and maybe ever. Soon enough Yankee fans will know the agony the rest of us feel, all to often, watching your closer with one eye open, praying they are able to hold on to that late inning lead. Unless he is closing out a game against your team, let’s enjoy his greatness while we still can.